We have no clue why humans have a bizarre obsession with pools. What we do know is that we’re suckers for a fancy schmancy plunge pool, and low-key crush on an infinity pool with views any Instagrammer could only dream of. And so are you #noshame. Maybe you’re on the hunt for your next hella extra getaway or maybe, just maybe you’re stuck in that 3pm rutt while you’re meant to be working. Whatever you’re up to, we guarantee this article will make you feel all sorts of happy. Here are the 6 most luxe pools in the world (you’re welcome). Start imagining and Googling people, this hotel’s newest villa sits on top of the entire resort and sports and infinity pool (our fave kind) with panoramic views overlooking Phang Nga Bay. And alongside this bad boy, there’s also your very own terrace for all the sunbaking and alfresco dining you could dream of. Yeah, we’re seriously considering quitting our jobs now too. Look we’re not going to lie, this place is actually just one massive oasis. Period. Located in the legendary Rub’Al Khali (just the largest uninterrupted sand desert in the world) this pool will have you taking a step down from the adventure junkee you could be, to the sleepy sloth who just wants a life by the pool for eternity. Alright guys, brace yourselves for this one. 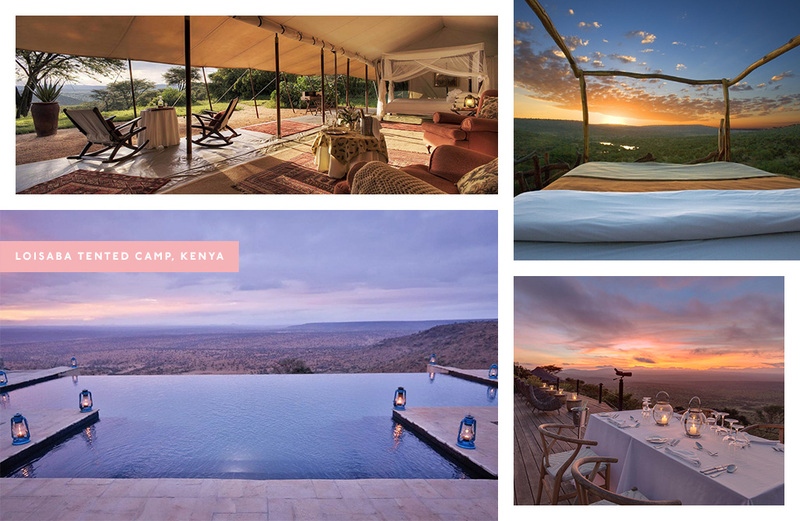 Perched on the edge of an escarpment, this luxe AF tented camp gives you your very own private infinity pool and yep you guessed it, it lets your steal some ridiculous early morning views across plains all the way out to Mt Kenya, straight from the depths of your blue sinkhole of glory. Seriously, who even deserves that? If anyone’s dared to call you ‘dramatic’ pretty much ever in your lifetime, you’re going to love, love, loveee this insanely picture perfect pool. Everything about this architectural beauty is hella dramatic including the canyon views, the temp-controlled water and epic night shenanigans that allow you to sip sunset dranks in the pool alongside a daily ritual of traditional Omani drums and lighting of fire torches. One word guys: tranquility. And this pool is the epitome of that. Cue endless skies and ocean waters and yes, it’s proven you can actually splash all your worries away here. 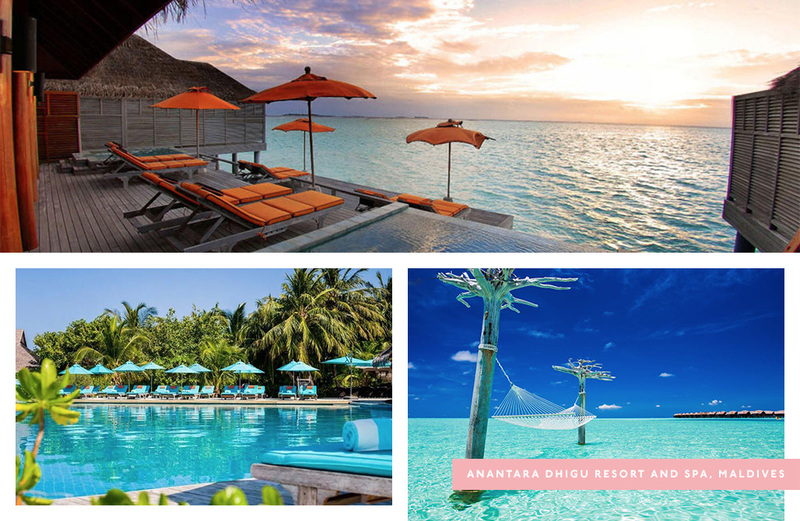 And hey, if sharing a crazy-pretty ring of blue with the rest of the world isn’t for you, there’s also private plunge pools for you to enjoy the fluorescent waters of the Maldives with a cocktail in hand (and you can Boomerang the hell out of it). For this body of refreshing water you’ll be surrounded by the crystal water of the Arabian Gulf. Oh the horror. But maybe to make up for the shock of cooling down in the most exotic beachside pool on earth, you’ll appreciate the the odd flock of flamingos chillin’ on the white sands right next to the pool. We don’t know, maybe.